Red Barn Consulting assisted with the NPDES Storm Water permit, site layout and the Erosion and Sediment Control Plan needed for earth disturbance associated with this project. Red Barn's dairy team of consultants and CADD designers worked with the farmer to discuss the project layout and finalize the site plan. They also communicated with the county, township and DEP to submit the site layout and accompanied stormwater control plan needed to fulfill the requirements of the NPDES Permit. 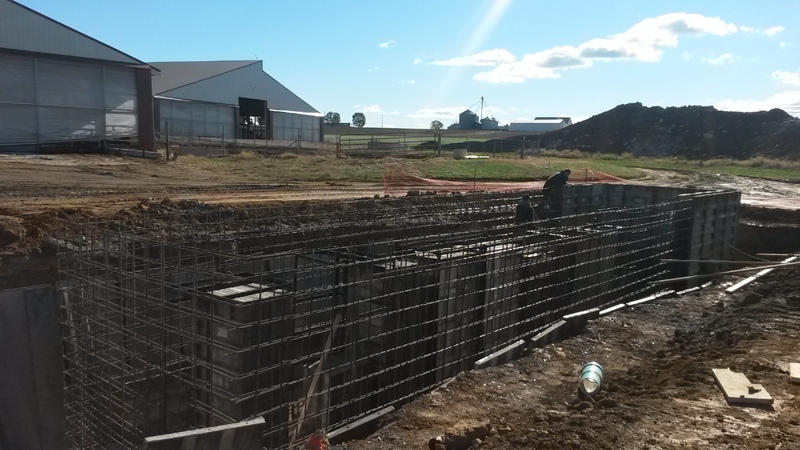 Brubaker Dairy operation proposed to construct a new freestall barn along with the proposed expansion and demolition of various existing structures on their property in East Donegal Township, Lancaster County, Pennsylvania. The original bank barn, a grain bin, a bunker silo, two (2) concrete upright silos and the original feed room will be demolished and removed from the property. The proposed improvements will consist of one (1) 118’ X 192’ freestall barn for the housing of milk cows, a 30’ x 20’ expansion of the milk house &utility room, a 30’ X 33’ expansion of the existing milking parlor holding pen, and a 550 sq. ft. expansion of the existing milking parlor. Associated gravel driveways, turnaround areas and stormwater management controls will also be constructed. The site was visited by RBC design personnel and a topographic site survey was performed on January 31, 2014. A geological investigation was performed by Lancaster Geology, and soil testing was performed on 3/14/14. 1. A rock construction entrance will be installed at the entrance to the site. 2. Silt soxx and silt fence will filter sediment-laden runoff from the project site. 3. Swales and berms will be lined with erosion control matting and stabilized. 4. Permanent seeding or gravel will be used to stabilize all disturbed areas. After performing an as-built survey in 2016, Brubaker Dairy decided to make a modification to their 2014 plans. We are pleased to be helping with the permitting of this new expansion that is currently under construction. The Brubaker Dairy operation is proposing two new freestall barns that are expansions of existing structures. The existing stormwater facilities from the 2014 Development (Basins A and B) are proposed for expansion to accommodate the proposed structures. 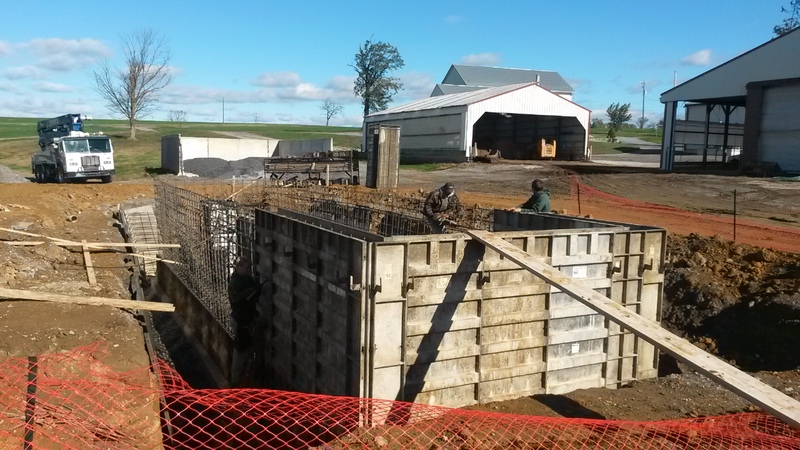 An existing manure storage pit is proposed for decommissioning with a new bioretention basin (Basin C) being constructed in its place. A gravel driveway is also proposed for relocation with additional gravel surfaces to provide access to the expanded barns.